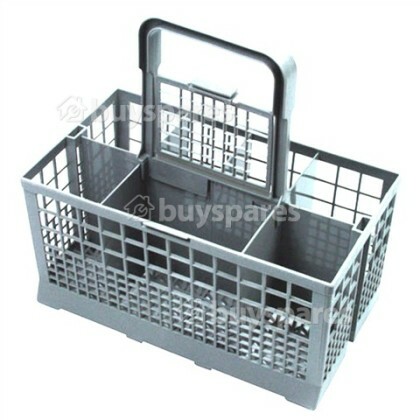 The purpose of the cutlery basket in your dishwasher is to hold silverware and other utensils. 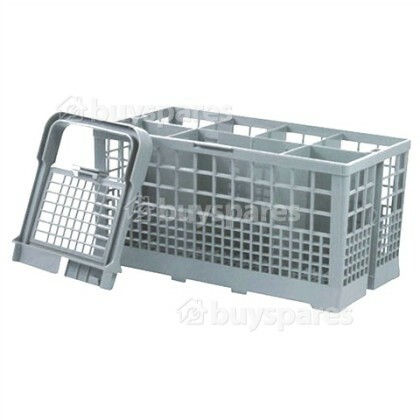 This brand new sturdy replacement basket has a flexible gridded topper, which is attached to the handle that makes it ideal for fragile and small items. 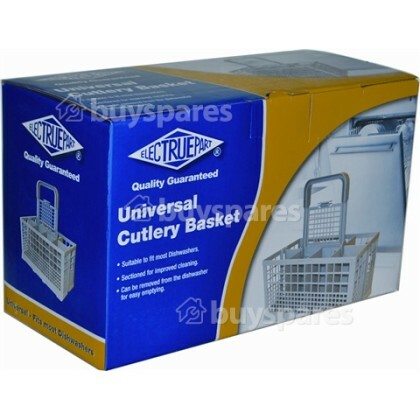 Its 6 single compartments and one double compartment is perfect for separating your cutlery and thanks to its mesh-like design, water easily flows through the basket when cleaning. 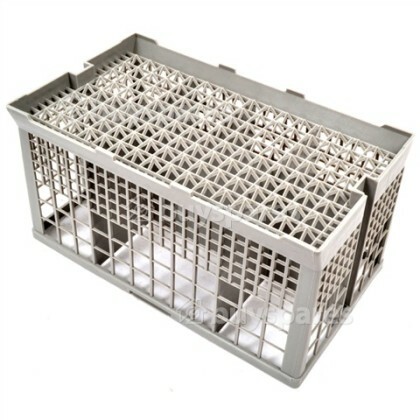 It fits most dishwashers with ease, but please check your appliance dimensions to make sure that this is the basket for you. 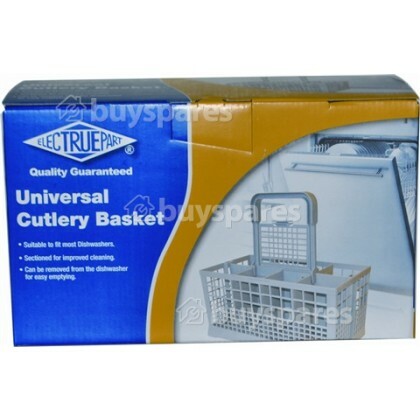 Universal, so fits most dishwasher models.